Every morning when I dropped off our kindergartner to school the temperature is really dropping. As it is already fall, surely the weather is started to cool off as well. Long before we know it, it is already winter. This means more warm and thick clothing to wear. 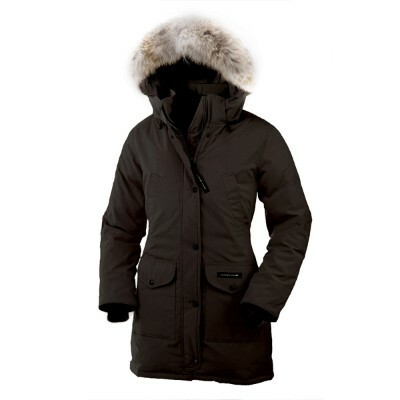 This Canada Goose Trillium Parka is really perfect for the winter. I will be out every morning to drive our kid to school and I need something like this to keep me warm. I now started to take out our winter clothing from the box. I realized that I really do need to get some more warmer stuff. Not only for myself but for my kids as well. Hubby have his uniform, and they have thermal wear to wear underneath their ACU's. So he is good to go. What he needs though is a warm coat to wear when we go to church during Sundays. 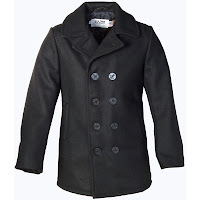 I saw this very nice coat at Dave's New York online and I really like it. This is perfect for him for the winter. I love it when it's snowing, but I just don't like to wear a lot of clothes. So most of the time when we get a lot of snow, I will just be inside the house. If ever I have this very warm parka, I can already play outside with my kids and build a snowman. I haven't really pulled out our winter stuff yet. Maybe next week. It helps that our jackets are just in the closet hanged. Our temperatures here in the morning are freezing and sometimes, even below freezing. I don't wait outside with our first grader as it is the Daddy's turn, but still, in the afternoon, when I wait for the bus to arrive, it's still too cold. Indeed, winter is here na jud! nice, warm and cozy winter coat. it's nice to have something like this especially when we live in a state where it snows. you guys must be freezing over there during winter times...glad we don't have snow in TX...lol! I like the first one. Yesterday is the first day of cold days in our place. Its in the 50's and windy. We wore jackets yesterday..
My closet is already in full transition and I got all of my warm clothes out, but I really do need a good coat for this season. Maybe I can find me one something that is of an investment piece that can last me a long time.